Almost every industry is feeling the push from cloud technologies. The ability to store, transfer, move, and use data anywhere changes the foundational structure of everything from healthcare to distribution, retail to government. A fundamental aspect of each of these industries is the way business interacts with customers. For contact centers to be successful, the customer must remain the central focus. Here are five ways the cloud improves the customer experience. One of the most obvious deliverables of cloud technology in the contact center is accessibility. The crucial data agents need to support customers, and employees and supervisors need to deliver on service expectations, is now accessible anywhere, anytime. Whether it’s the real-time status of a product delivery or customized communications with on-the-road service delivery experts, the cloud enables improved customer service on the part of contact center staff. Accessibility goes both ways, though. The cloud improves the customer experience by offering customers easy access to account numbers, billing information, self-service tools, and application processes, like transferring money between bank accounts or printing off health records. One of the biggest challenges for contact centers is scaling to meet the demands of seasonal or industry-relevant needs. Retail-based contact centers rev up hiring during the holiday season, and product-based call centers need to adjust staffing as releases and recalls unfold. Cloud contact center platforms enable simple scaling, charging by usage instead of by seat. This is ideal for contact centers that may have 300 agents at their busiest and only a dozen or so during slower seasons. The cloud improves the customer experience by putting the focus back on the customer journey. When it comes to the customer experience, technology is often seen as an obstacle to personalization. In fact, the opposite is true. Strategic technologies can build in personalization tokens – through emails, screen pops, and multichannel supports – giving the customer a more idealized experience. Another way the cloud improves the customer experience through personalization is by supporting loyalty programs. Customers who have easy access to your business through a mobile app will demonstrate improved loyalty. Instead of digging for a membership card or attempting to recall an account ID, customers benefit from the accessibility offered by the cloud. Teams no longer have to rely on complex version and nomenclature controls in their documentation processes. Cloud applications enable immediate, real-time updates and automatic saving. This means improved collaboration internally within the business and contact center. The cloud improves the customer experience by removing the silos that create obstacles to clear communication. New contact center platforms and applications also improve collaboration through agent <-> agent and agent <-> supervisor communications. The upcoming release of Cisco Finesse 12.0 includes a team chat feature that puts agents and management back in control of communication. And better communication leads to an improved customer experience. The cloud improves the customer experience in one other rather intangible way. Cloud applications embed artificial intelligence and machine learning algorithms into their operations, automating the data collection and analytics typically undertaken by management. This has at least two big benefits. First, the data is more accurate and immediate. See real-time stats on first-call resolutions, escalation steps, and FAQs. Second, this automation frees up contact center management to focus on the strategic response to the data. Instead of spending their time collecting the data, management can implement policies around the data, improving outcomes for the contact center and customers. The cloud can be elusive, but the results are real. Find out for yourself at our weekly (free!) 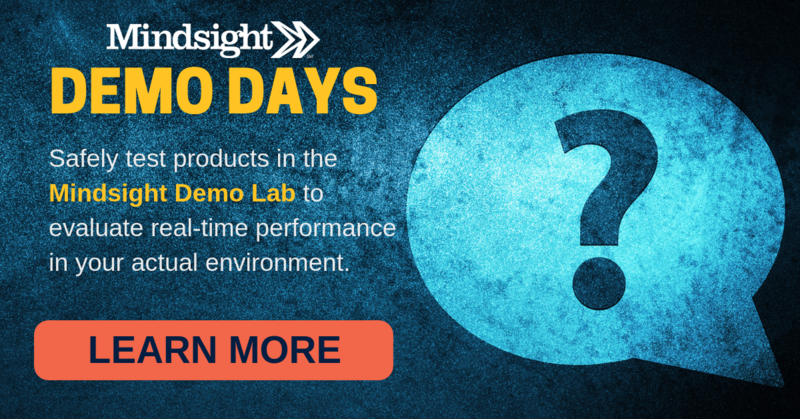 Demo Days, where we provide a safe demonstration of a targeted solution in your environment. Sign up today or contact Mindsight for more information. Contact us today to discuss using cloud to improve customer service.